M6-1.00 X 1M (50 Sticks). 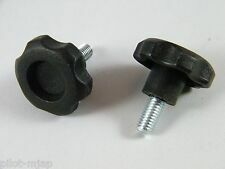 The most economical and most common form of Threaded Rod. Typically used by the plumbing and contracting trades. Zinc plating, retards the corrosion rate in a normal atmosphere. STAINLESS STEEL MAGNETIC SEPARATOR GRATE. WITH (5) 1"DIA. 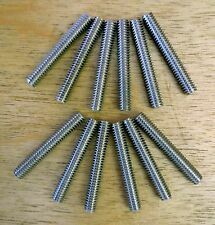 X 10"L MAGNETIC RODS. 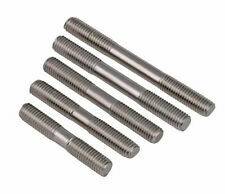 UNC A307 GRADE A ALL THREAD RODS ZINC. #6-32 X 3' (50 Sticks). 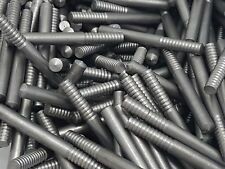 The most economical and most common form of Threaded Rod. Typically used by the plumbing and contracting trades. Zinc plating, retards the corrosion rate in a normal atmosphere. Lot de 10 tiges filetées Natural 6.6 Nylon M8 longueur 20cm. ASTM F593 ALL THREAD ROD STAINLESS STEEL 316. 7/16"-14 X 3' (14 Sticks). Used in chemical, food and other industries where corrosion resistance is required. Stainless Steel material. Also included are various sizes of Sammys that you will see in the pictures. Caterpillar 147-5553 Stud 0,1x2.75x0,3.75 Inches ! NWB ! UNF A307 GRADE A ALL THREAD RODS ZINC. 7/16"-20 X 3' (17 Sticks). 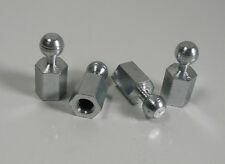 The most economical and most common form of Threaded Rod. Typically used by the plumbing and contracting trades. Zinc plating, retards the corrosion rate in a normal atmosphere. ASTM F593 ALL THREAD ROD STAINLESS STEEL 304. 1/4"-20x3' (30 Sticks). Used in chemical, food and other industries where corrosion resistance is required. Stainless Steel material. 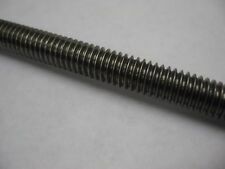 Stainless Steel Threaded Rod 5/8"-11 x 36"